Patients with a speech impairment may not be able to articulate their needs clearly. They may communicate using noises or grunts which the CNA may find difficult to interpret. However, consistent contact with the patient will familiarize the CNA with the patient and help them understand better. Before entering the patient’s room, knock on the door. Approach the patient slowly and in a non-threatening manner. Be respectful, and call out the patient by name, or in a way they like to be addressed. Keep the conversation simple and to the point to prevent confusion. Smile when talking to the resident, and keep a relaxed attitude to ease the communication. Do not leave the conversation incomplete or leave the patient in the middle of the conversation. If you have to leave, assure the patient that you will soon be back. Use short, simple and direct questions when interacting with the patient. This will help the patient articulate their needs better, by using simple yes, no answers or by nodding their heads. Repeat the message back to the patient, to show that you understood their needs. If you do not understand what they need, try and communicate again. Do not pretend to understand the patient. Provide enough time for the patient to respond, if he is unable to answer quickly. It may be possible that the patient understands the question, but is unable to respond at once. Use written material, sign language, or other communication aids such as flash cards and picture boards to enhance communication. If the patient appears to be frustrated, assure them that you understand them and that their needs will be met, and then ask for help from another colleague. When the conversation ends, let the patient know you are leaving. Before leaving make sure that the patient is safe, and the call button and other personal items are within the patient’s reach. cnafreetraining.com may get a commission. 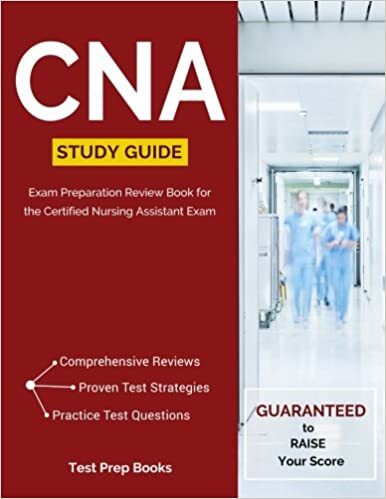 Providing the best online training for the CNA Exam! CNA Free Training and its sister sites are owned and operated by PB International. For more information visit http://pbint.net.